In each Safeway store, the bakery department crafts freshly made cakes for customers to enjoy. Safeway’s extensive customization options are reflected by their prices, which range from just $8 up to $120. The base price for a Safeway cake typically includes your choice from four cake flavors, two frosting types, various frosting colors, and a free personalized message. If you pick specialized decorations, toppings, or cake fillings, the price will increase a little bit. This article will tell you more details about Safeway cakes and bakery products in terms of prices, designs, and how to order them. When you get a cake from Safeway, you have the option of picking out a pre-decorated cake or getting Safeway’s cake decorators to design a cake for you. Safeway can decorate cakes with frosting, chocolate, fresh fruit, or candy. Some Safeway cakes come with plastic toppers that create an even more appealing design theme. 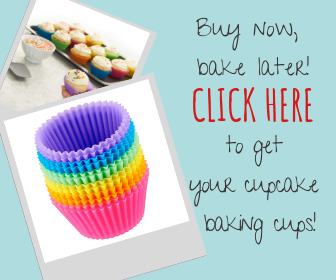 The cakes at Safeway come in many sizes, including round cakes, square sheet cakes, rectangular sheet cakes, and pull-apart cakes that separate into individual cupcakes. Since the Safeway cakes are so customizable, the bakery is capable of making cakes for birthday parties, wedding receptions, baby showers, school graduations, or other special events. If you need a birthday cake in a hurry, you can pick one of Safeway’s pre-decorated cakes, and get them to write a birthday message on it for free. Another option at Safeway is to select your own custom design. Depending on the number of extra decorations, Safeway customized cakes can have a slightly higher price than the basic cakes. The price of a Safeway birthday cake may also be increased by a few dollars if it has any plastic toppers or toys on it. 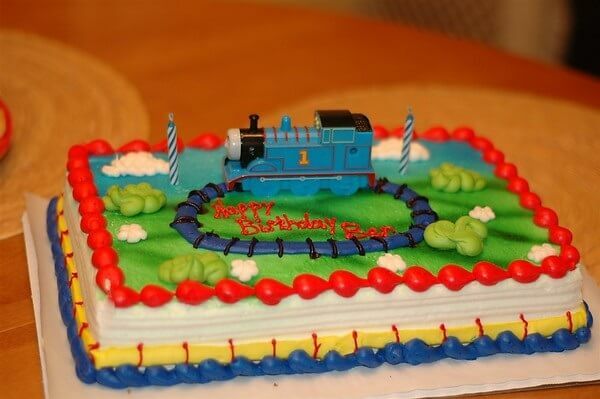 For children’s birthdays, Safeway offers licensed characters, such as Sesame Street, that can be added to a cake. Birthday parties are also a great time to try out the cupcake cakes at Safeway. These original Safeway cakes look like a single cake from the top but easily pull apart into individual cupcakes. For a traditional baby shower cake, Safeway can decorate a cake in white, pink, blue, yellow, green, or purple. 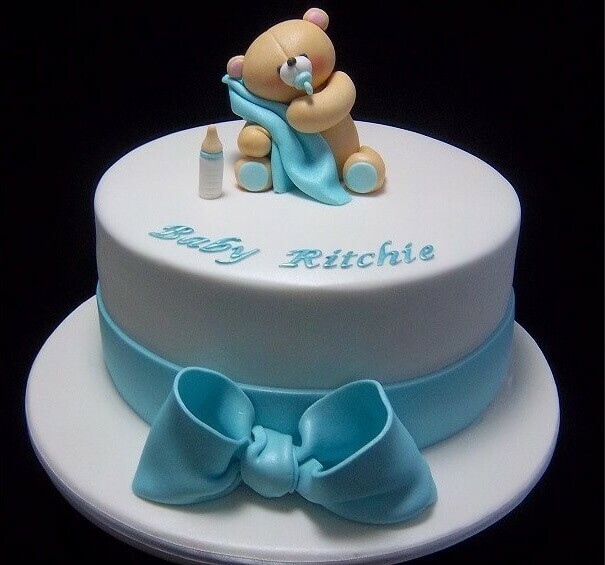 Baby shower cake designs include a simple floral border, and possibly an icing design such as toy alphabet blocks. They also offer a selection of plastic toppers such as small babies, booties, or carriages. If desired, Safeway can write a congratulatory or welcoming message for the baby and parents on the top of the cake. The typical baby shower will need at least a ¼ sheet cake, but Safeway offers many other sizes for unusually large or small baby showers. Safeway’s readymade cakes often have celebratory designs that are perfect for congratulating a new graduate. In many cases, the Safeway cake decorator can write the graduate’s name in icing on the cake while you wait. If you want something more personalized, Safeway can create custom sheet cakes and round cakes to meet your requests. Common ideas for graduation cakes are icing in the graduate’s school colors or frosting designs that represent the graduate’s athletic or academic interests. Students who played a sport may appreciate one of Safeway’s specially shaped round cakes that look like a soccer ball or basketball. 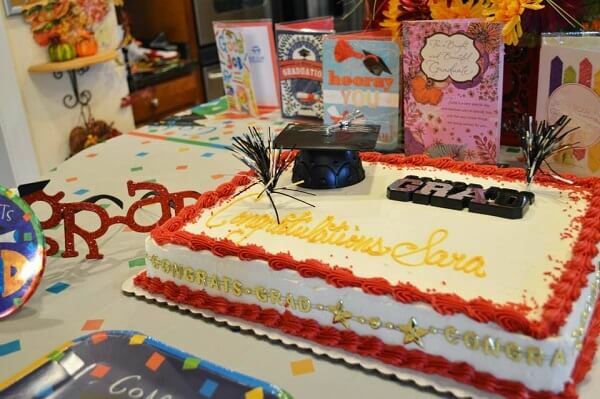 Whatever design you pick, your Safeway graduation cake can be made in the graduate’s favorite cake flavor. At some Safeway bakeries, the customization options even allow you to order a wedding cake. They offer both a basic two-tiered cake and a three-tiered cake option that are very affordable. 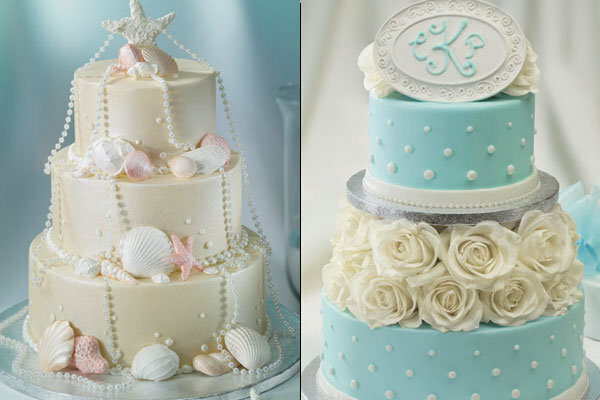 These designs mostly just have white icing with subtle piping in either white or the wedding colors. Safeway wedding cakes can be as low as $90 if you pick smaller ones with plain decorations. However, Safeway also offers much more elaborate cakes if customers are willing to pay more. These can be a variety of shapes, and they are decorated with elaborate designs, fresh flowers, and fresh fruit. The average price of a Safeway wedding cake is around $250 for a cake that will feed 100 wedding guests. Just keep in mind that wedding cakes can only be ordered from a few select Safeway locations, and they must be ordered at least a month or so in advance. If you are organizing a big party or a special event, you can complement the delicious Safeway cakes with the equally mouth-watering Safeway bakery products. The Safeway bakery menu includes freshly baked bread and bagels. The yummy Artisan baguettes, French bread or Italian focaccias from Safeway are low in fat, and with no added sugar. Some products in the Safeway bakery catalog can be ordered in the gluten-free variant, but you will need to contact your nearest store for further details. The Safeway Bakery also produces fresh donuts with decadent icings and premium fillings. The Apple Fritter, the Donut Croissant, the Persian Donuts, the Black Forest donuts, the Double Chocolate donuts are just a few enticing examples. When ordering a Safeway cake, you will need to speak to the cake decorating staff at the Safeway bakery. You can find the store’s individual number on the Safeway website and call the bakery department, or you can go into the store to talk to an employee. After bakery employees help you to select your design, you just need to wait for them to make your cake. It is generally best to order your Safeway cake at least a few days before you need it. When it is ready, the cake will need to be picked up in the store. Safeway’s cakes and bakery products are a great option if you want a little more customization for your next celebration. They have a lot of sizes, cake toppers, and frosting designs to make any event special. If you’ve tried a Safeway cake before, comment below to share your experience with us. In my opinion, Safeway cakes are the best for any occasion! They never fail, in flavour, design, basically anything you can think of! Highly recommend. It is also a cheaper alternative to its more expensive counterparts i.e local bake shops, or higher end bake shops! Thanks a lot for the feedback! Which special events did you celebrate with Safeway cakes? Thank you for your feedback. We are sorry you had a bad experience. We hope the cake was good, though. Safeway is a great place to shop for any occassion. I choose to shop at the safeway bakery every birthday, because its the favorite choice for my family. Great bakers, variety of choices and reasonable cake prices.